One of the main headlines from the event was the Defence Minister’s announcement  to re-examine the previous government’s plan to build 12 submarines. In this blog post , Andrew Davies and Mark Thomson argue there are reasons to think 12 still might be the number. 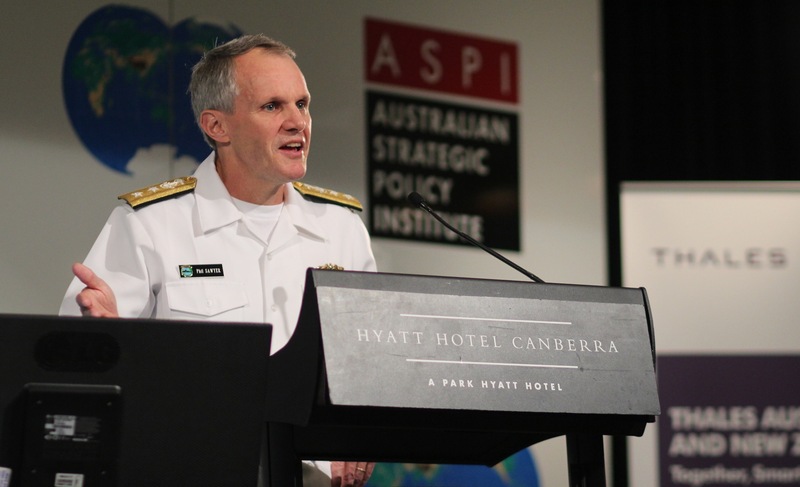 Earlier in the week, ASPI Chairman Stephen Loosley argued  that, with a more constrained defence budget, it was time for Australia to back away from the 12-submarine commitment, and that six would achieve our strategic objectives. For other Strategist posts that break down the big issues from the conference, visit ‘The Submarine Choice’ section on the blog , and for updates and images from the event, see Twitter hashtag #SubCon14 . In Indonesia, it’s been a tougher ride than expected  for presidential hopeful Joko Widodo’s political party, PDI-P, in this week’s legislative election. With only 19% of votes  (they needed 20% of seats in the legislature or 25% of the popular votes to nominate a presidential candidate), the party might have to cut a deal with others to ensure a shot for Jokowi at the July election. Over at New Mandala’s Indonesia Votes section, Marcus Mietzner , Edward Aspinall , Wimar Witoelar  and David Willis  share their post-election analysis on PDI-P and the limited ‘Jokowi effect’. Shifting to broader strategy-related items, this week’s podcasts are courtesy of the ANU. First, a recent public lecture by Professor Sir Hew Strachan  in which he made the argument that an emphasis on national interests, defined in terms of geopolitics, can run counter to our ideological commitments. Second, a panel discussion featuring some of Australia and Asia’s leading scholars on whether East Asia risks being brought to the brink of war as Europe was in 1914 . Sticking with the Asia Pacific, Japan has pushed ahead with plans to stockpile plutonium , although not of a grade most desirable for bombs. The stockpile is being used for a nuclear recycling program designed to reuse plutonium as part of an overall plan to reduce Japan’s dependence on external energy sources. The Americans are reportedly unhappy with Tokyo’s stockpiling intentions, for fear of the material being stolen and used by terrorists. For more on the controversy around the plan and Japan’s history of nuclear energy, read this New York Times piece . Moving to the Middle East, with Iran entering a third round of nuclear talks with world powers  this week, CSIS has produced a 3-minute animated video  explaining Iran’s missile capabilities, with analysis and narration by Anthony Cordesman. Turning now to technology and conflict, there’s a new exhibit at the United Nations that simulates walking around landmines . It uses a low-energy Bluetooth technology to find a phone’s location and transmitters hidden throughout the exhibit. When a person comes too close to a transmitter, it acts as a landmine and detonates, filling the user’s headphones with a jarring, visceral explosion followed by an audio testimony of someone’s actual experience. Lastly, if you’re in Perth, there’s a special art exhibition commemorating the 50th anniversary of the Special Air Service Regiment (SASR) ‘Out of the Shadows’  on display at the Western Australia Museum. ‘Out of the Shadows’ runs from Saturday 12 April to Sunday 1 June and offers a glimpse into the world of Australia’s special forces. For more details visit here . Natalie Sambhi is an analyst at ASPI and editor of The Strategist. Image credit: Luke Wilson, ASPI.